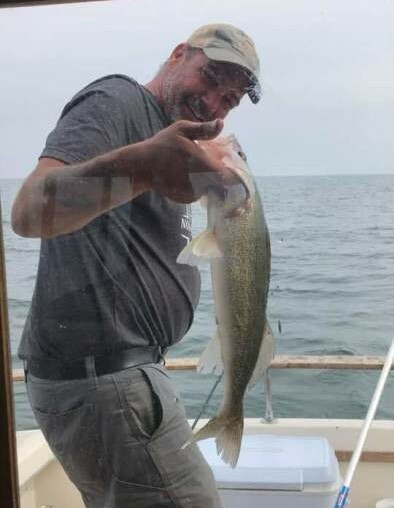 Kenneth Clayton Hamilton, age 48 of McBain, passed away at his home on January 30, 2019. He was born on September 15, 1970 at Cadillac to Gary Lee Sr. and Hazel Ann (Mishler) Hamilton. Ken grew up in the McBain area and liked four wheeling, dirt biking, being outdoors and fishing. He enjoyed building things with his hands. He is survived by his mother, Hazel Ann Hamilton of McBain and his father, Gary Lee Hamilton Sr. of Scottville. His surviving children are Jessica Hamilton of Cadillac and Rebecca Hamilton of McBain along with five grandchildren, Areona Potter, Natalie Hamilton, Damion Harris, Joselyn Worth and Lillian Harris. His siblings are Gary “Punk” (Danielle) Hamilton of McBain, Karen (Glen) Arnett of Marion and Levi Hamilton of Scottville. Ken’s paternal grandmother, Ellen Kline of Cadillac, uncles and aunts, Pete (June) Mishler of McBain, Mary Jane Langworthy of Cadillac, Edith (Tim) Bell of Tustin and Elmer Mishler of Manton, Linda Mishler of McBain, Stan Vanderhoef of Cadillac, Jerry Park of Lake City, Lois Mishler of Branch and Gloria (Doug) Smith of Manton. There are sixteen nieces and nephews and many close friends. He was preceded in death by his grandparents, Elmer and Mary Mishler and grandfather, Kenneth Clayton Hamilton, aunts and uncles, Owen Mishler, Vernon Langworthy, Henry Mishler, Betty Vanderhoef, and Roger Mishler.